Movie Clips - Rebecca - "It's Gone Forever"
Flashback - A memoir by David Barry, who was a child actor appearing in Titus Andronicus with Olivier - "Scattered throughout this journal are flashbacks about his childhood experiences while touring Europe in the play Titus Andronicus with Sir Laurence Olivier and Vivien Leigh. David was fourteen at the time, and it was the summer of 1957 when Peter Brook's bloody production had people fainting in their seats." 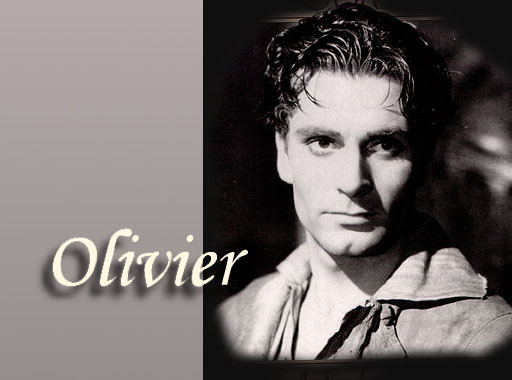 Olivier's lyrical acceptance of an honorary Oscar in 1979. "In the great wealth, the great firmament of your nation's generosity, this particular choice may perhaps be found by future generations as a trifle eccentric, but the mere fact of it — the prodigal, pure, human kindness of it — must be seen as a beautiful star in that firmament which shines upon me at this moment," Olivier said, in part.